Last year, I sang in the ABRSM sponsored chorus for a staged production of Bach’s St Matthew Passion, produced under the umbrella of Vocal Futures – the brainchild of Suzi Digby. This charity aims to involve and inspire young people to engage with classical music and this was their first major production. Through a number of workshops, young people (16-22) across the country were introduced to this gargantuan work and were allowed the opportunity to explore the music and to really get under the skin of the drama. The culmination of these efforts were displayed in the show as a Whitacre-esque virtual choir singing the final chorale, projected onto the stage. The production was obviously aimed at a young audience, primarily those who took part in the workshops, all of whom were invited to the performances. 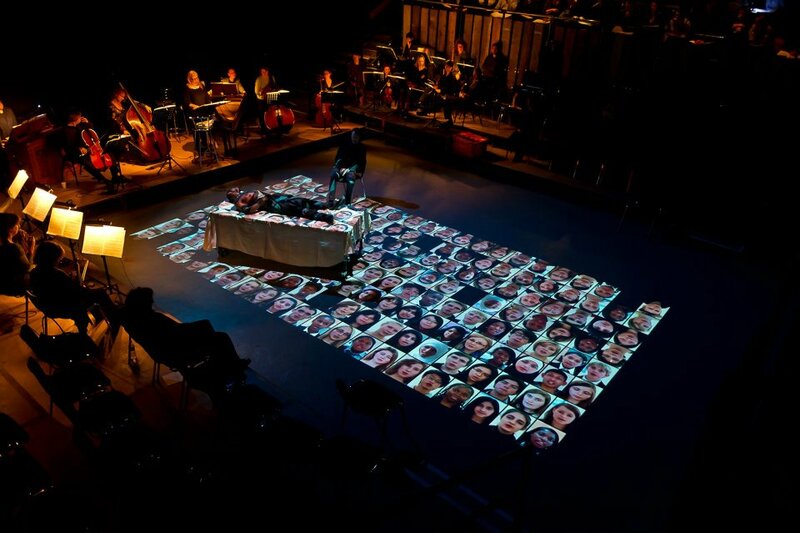 It took place in a concrete bunker in the bowls of the University of Westminster, and the incorporation of sound effects and the virtual choir projections made for a multi-media performance – and that was before the visual impact of the stagecraft which was directed by Patrick Kinmonth. It seems that this project is set apart from the myriad of other ‘outreach’ programmes by the fact that there is some follow-up for those who have taken part. Vocal Futures has a significant social media presence and there is an emphasis on encouraging the participants to continue attending live classical music concerts. This is supported by the regional hub network to which each of the Young Ambassadors (as the participants are known) belongs, which encourages further participation and debate. As an aside, their musical activity is being tracked for six months as part of a Cambridge University research project to build a picture of the concert going habits of teenagers. The good news is that if you were unable to see any of the performances, it is being broadcast online on Good Friday. It is well worth a watch for the fantastic soloists and the amazing playing of the OAE who were on top form as well as for the stark and beautiful staging. If you’re still not convinced, here is a trailer to whet you appetite.